Esajas started his football career at the youth academy of his home town club Ajax. Failing to make it to the first team, he moved to Vitesse and also made his professional debut in Arnhem. 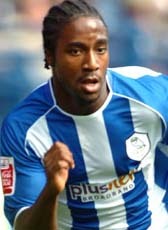 In August 2007 Esajas signed a 3-year contract until 2010 at the Owls. He played for three seasons at the English club. Despite his results during the three seasons, fantastic goals and in 2008-09 the most goal assists of the team, his contract was not extended and he was send on a free transfer at the end of June 2010. After trials at several clubs he finally was offered a contract at Helmond Sport in October 2010. Esajas signed for the rest of the 2010-11 season. In July 2011, Esajas has signed for Swindon Town after impressing during a three-week trial at the club. He signed a 2-year contract until June 2013. In May 2012 Etienne Esajas has had his contract with Swindon Town cancelled by mutual consent. The midfielder made only two starts and seven substitute appearances during the season. After a year without a professional club, he tried to find his luck again in England. Esajas signed a one year contract at Scunthorpe United in the League Two until June 2014. Dayton Dutch Lions FC from the USA signed Etienne Esajas of Holland for the 2015 PDL season in May 2015.